Lovatics in Singapore waited 2 years for their Queen to return again with another concert! 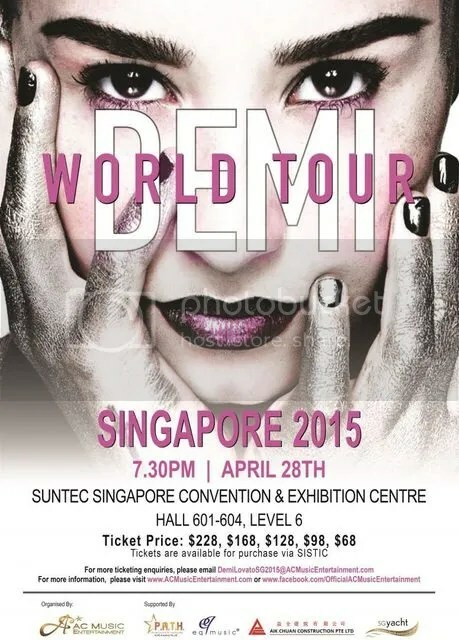 Lovatics could be heard chanting Demi loudly in the Suntec City Convention Centre before the sold out concert started. 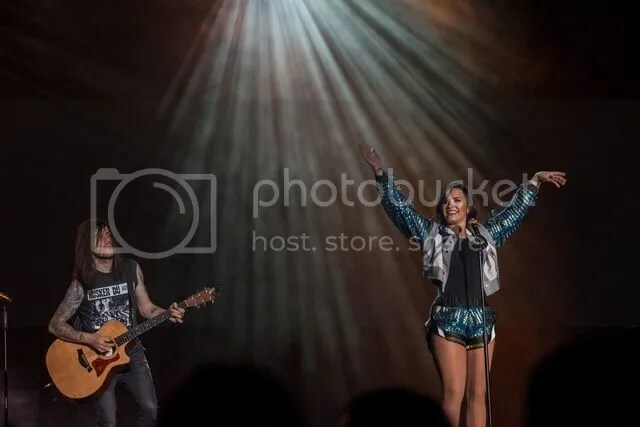 After rounds of loud cheering and screaming, Demi finally made her appearance and kicked off the concert with Really Dont Care which had the crowd jumping and screaming along loudly. As Demi went on to singing Heart Attack, you could hear the audience singing their hearts out along to the song. Being a fan of Demi since the start, nostalgia started to kick in when she sang a different rendition of her song Get Back, Don’t Forget and Catch Me. Demi never failed to put a smile on the crowd’s face and melted the hearts of all the lovatics present. 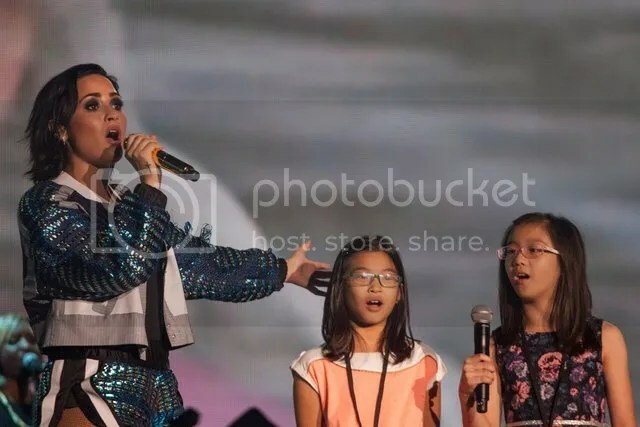 However, the most cutest part of the concert would be when Demi invited two little girls onstage to perform Let It Go with her. Demi had noticed the two girls singing along so she stopped the concert to invite the girls onstage and have them perform the song with her. It was indeed very touching to see kids at that age remembering the lyrics to the song and singing it loudly. Demi slowly changed the atmosphere to be a little more serious as she slowly started to speak out about her past, and delivered a very inspirational message to her fans.”For anyone that’s out here tonight that’s going through something, I just want you to know that you can get through it, no matter what it is, you can get through it. Also, Demi also encouraged her fans to share their stories with one another so that more people can get help, and eventually learn to overcome whatever troubles and problems they might face in life. Demi visited Africa for her 21st birthday and while performing Warrior, a short clip of her trip to Africa was shown on the screen behind her. The atmosphere and the video matched perfectly, and it was indeed very touching. With the ongoing crisis going on in Nepal, Demi dedicated Nightingale to the victims of the Nepal earthquake and to whoever who lost somebody. You could definitely hear Demi’s absolutely heavenly and strong vocals through these heartfelt songs. Demi ended the concert with Give Your Heart A Break and Neon Lights as the encore song. Lovatics were seen jumping and dancing around in the hall. The concert came to a close as Demi bid farewell and thanked the audience as she walked off stage. And we definitely know one thing is for sure, Demi will continue to spread positivity to the world and her beloved fans, the lovatics, will carry on spreading love and positive thoughts to the people around them. We can’t wait to see you again, Demi!